Oh breastfeeding and Babywise. The myths that surround you. You won’t have a enough supply. You will lose your supply. Even worse, your baby will have failure to thrive and probably even die! Kimberly at Team Cartwright is a mother to three children, including twin girls she is still nursing at 10 months old. 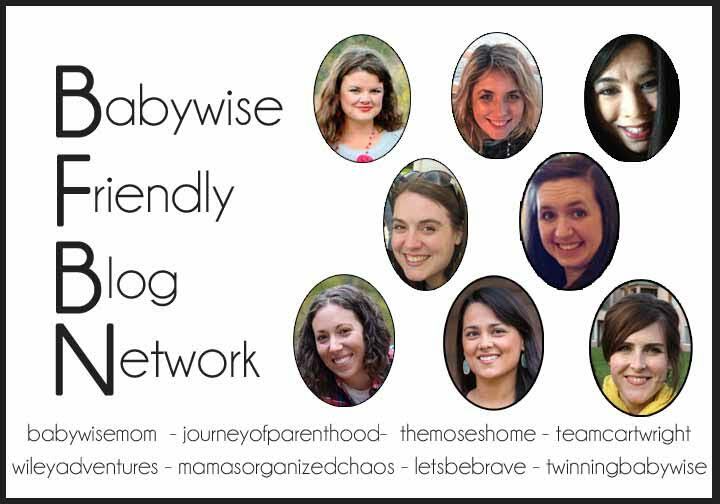 ON BABYWISE! Not only is she doing it, she is doing it with two. I had scheduled feedings with all four of my kids, including a set of twins. All of my kids were breastfed exclusively until 6 months, and were weaned at 15 months. I had no problem with my milk supply, in fact, I think that my mammary glands must have been "scheduled" too- TMI perhaps, but my milk would let down on schedule. Schedules saved me life! I am really struggling to get my LO to sleep through the night. I follow the babywise schedule to a T. He is still waking up every 2-3 to eat. Also, I don't let him cry it out yet. He is 8 weeks old. How long should wake time be after his feeding?